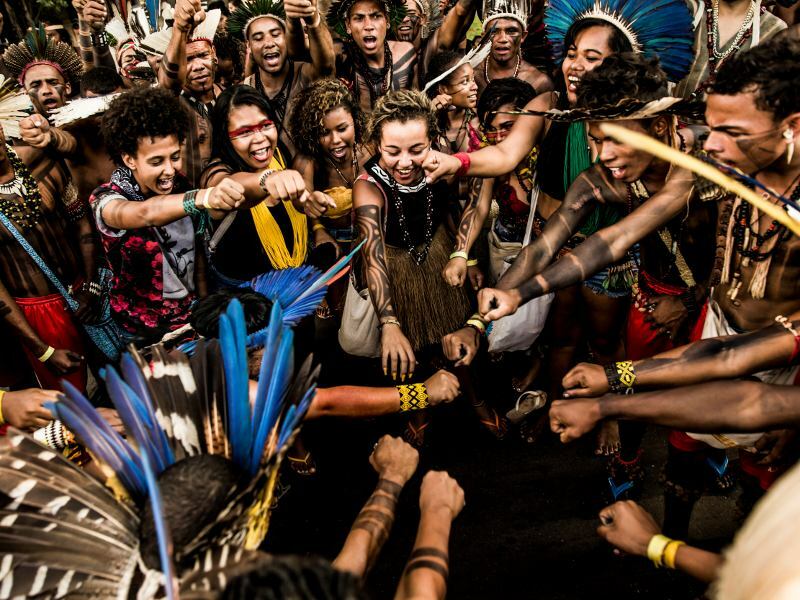 As the many communities spanning the Amazon's vast network of indigenous territories face mounting threats to their rights, lands, and wellbeing due to the ever-expanding presence of industrial activities like oil drilling, agribusiness, and mining, innovative responses are increasingly needed. 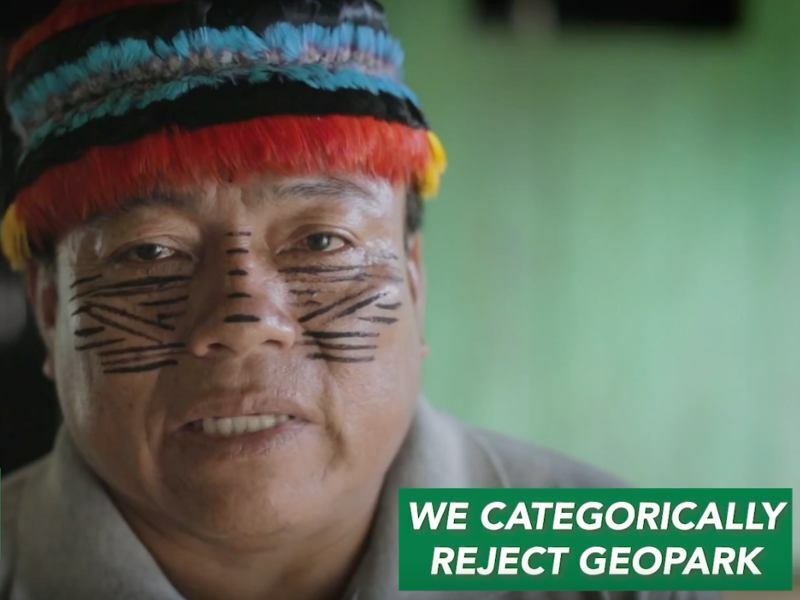 Pressures upon Amazonian ecosystems, which are critical to climatic stability and biodiversity, frequently translate to intimidation and violence against their indigenous stewards. The communities on the front lines of struggles for rights and resources are largely remote and isolated, making them vulnerable to repression and limiting their ability to defend themselves and their territories. The Amazon is among the most dangerous places in the world to be an Earth Defender, and our partners routinely face threats for their enduring resistance to industrial development. To address this concerning reality, Amazon Watch launched the Power to the Protectors program, which provides indigenous communities across the Amazon basin with solar and communications infrastructure and builds local capacity and expertise in clean energy solutions. The provision of radio and satellite internet, accompanied by clean and secure energy sources, will enable communities to better monitor their territories and share information with neighbors and external partners on threats and opportunities. The value of this program lies not only in helping to support our partners' work in remote villages, but also in demonstrating to a broad audience that renewable energy and communication tools are critical to the forest stewards endeavoring to safely implement their own forms of sustainable development, visions for environmental protection, and territorial and cultural defense. Power to the Protectors therefore strives to set positive precedents for solar-powered solutions across the Amazon basin and around the globe. Since 2016 we have worked with the U'wa people of Colombia, the Sapara people of Ecuador, and the Munduruku people of Brazil to deliver a variety of solar and communications hardware in partnership with the NGOs Empowered by Light, the Give Power Foundation, and Greenpeace Brazil. With these successful pilot projects behind us, our coalition now seeks to significantly scale up the program; we aim to bring solar, radio, and internet infrastructure to an expanded circle of partners and implement a robust training and capacity building component to maximize both the longevity and impact of new systems. 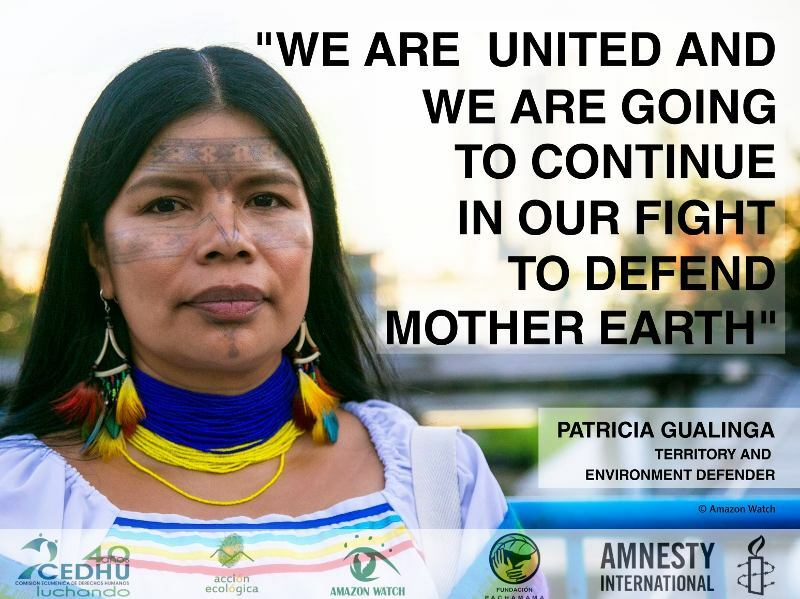 With Amazonian Earth Defenders under siege, we must respond. The success of their vision for territorial integrity in respect of rights hinges upon building enabling partnerships to forge innovative solutions that place a premium on preserved ecosystems and vibrant communities. Amazon Watch's Power to the Protectors program hopes to provide tools that further enables this vision, while bringing its emblematic victories to the world's attention. Donate to the Power to the Protectors Fund! Give Power to the Protectors!